In 1754, we find the word Prosecco in the book “Il roccolo Ditirambo”, written by Aureliano Acanti: ‘And now I would like to wet my mouth with that Prosecco with its apple bouquet’. Up until the 1960s, Prosecco sparkling wine was generally rather sweet and barely distinguishable from the Asti wine produced in Piedmont. Since then, production techniques have improved, leading to the high-quality dry wines produced today. According to a 2008 New York Times report, Prosecco has sharply risen in popularity in markets outside Italy, with global sales growing by double-digit percentages since 1998, aided also by its comparatively low price. It was introduced into the mainstream US market in 2000 by Mionetto, now the largest importer of Prosecco, who also reported an “incredible growth trend” in 2008. Until the 2008 vintage Prosecco was protected as a DOC within Italy, as Prosecco di Conegliano-Valdobbiadene, Prosecco di Conegliano and Prosecco di Valdobbiadene. From 2009, this has been promoted to DOCG status. Further to protect the name, an association of traditional Prosecco growers is advocating a protected designation of origin status for Northern Italian Prosecco under European law. Prosecco is, according to an order of the Italian Minister of Agriculture dated 17 July 2009 since 1 January 2010 not the name of a grape variety any more (now to be called Glera), but exclusively a geographical indication. This was confirmed by EG-Regulation Nr. 1166/2009 of 30 November 2009. Unlike Champagne, its main commercial competitor, Prosecco is usually produced using the Charmat method, in which the secondary fermentation takes place in stainless steel tanks, making the wine less expensive to produce. The rules for the DOCG Prosecco Valdobbiadene also allow the use of the Metodo Classico: secondary fermentation in the bottle. Approximately 150 million bottles of Italian Prosecco are produced annually. As of 2008, 60% of all Prosecco is made in the Conegliano and Valdobbiadene area. Production there amounted to €370 million in 2007. Since the 2000’s, Glera (Prosecco) grapes are also cultivated ouside of Italy and wine from the grapes is produced in other countries including Brazil, Romania, Argentina and Australia. However as France did with Champagne, Italy is now protecting the prosecco producers by tying the right to call a wine Prosecco to the geographic region of the Veneto. So from now on Prosecco made from Glera grapes for example in Australia can no longer be called Prosecco. In the region of Conegliano and Valdobbiadene there are more than 150 producers and they form together the Consortium for the Protection of Prosecco from Conegliano and Valdobbiadene (Consorzio per la Tutela del Prosecco di Conegliano e Valdobbiadene). Prosecco is mainly produced as a sparkling wine in either the fully sparkling (spumante) or lightly sparkling (frizzante, gentile) varieties. Prosecco spumante, which has undergone a full secondary fermentation, is the more expensive variant. The sparkling variants may contain some Pinot bianco or Pinot grigio wine but all Prosecco MUST contain a minimum of 85% Glera grapes. 100% Glera is in general more prized than a blend. Depending on their sweetness, in accordance with the EU Sweetness of wine Regulations for Terms used to indicate sweetness of sparkling wine, Proseccos are labelled “Brut” (up to 12 grams per litre of residual sugar), “Extra Dry” (12–17 g/l) or “Dry” (17–32 g/l). The Extra Dry which is medium between the sweeter Dry and the very Dry Brut, tends to be the most popular to quaff all evening, whereas we find that people who prefer Champagne will select the Brut style rather than Extra Dry. A very broad generalisation we have noticed is also that ladies prefer the Extra Dry style and men often prefer the Brut style. A still wine (calmo or tranquillo) is also made from Glera grapes — it amounts to only about five percent of production — but this wine is rarely exported. Prosecco can be only DOC (Denominazione di Origine Controllata) or the higher certification level DOCG (Denominazione di Origine Controllata e Guarantita). There are no IGT or other formats of certification applicable to Prosecco by law. Wines from the traditional Conegliano–Valdobbiadene production area are labelled as “Prosecco di Conegliano-Valdobbiadene”, “Prosecco di Conegliano” or “Prosecco di Valdobbiadene” or “Prosecco DOC” from Friuli. 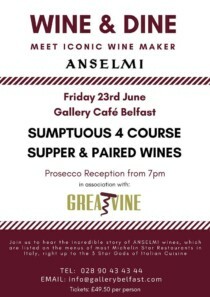 If ‘Superiore’ is used on the label, the Prosecco is a higher level again. 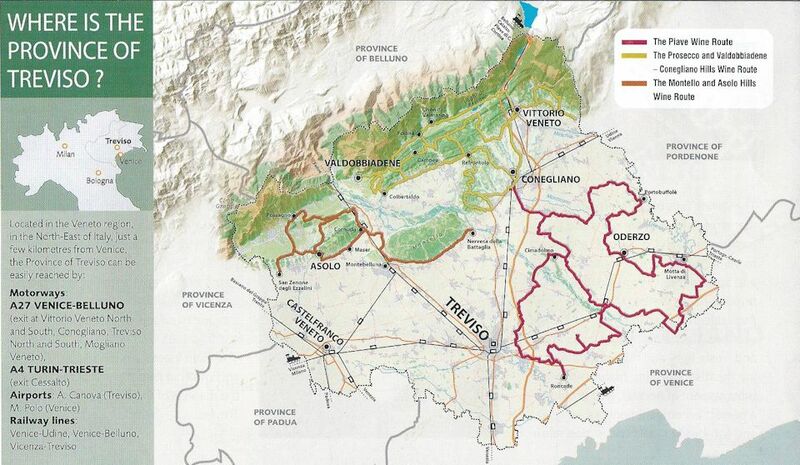 There is also a specific DOC area that producers in that zone have a right to use on their labels called ‘DOC Treviso’. Cartizze is a small hill in the Valdobbiadene area which is the most prized and Prosecco from this specific zone is the most expensive. 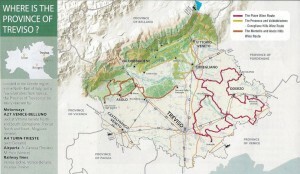 Because of the nature of the Cartizze terrior (land) it is the last of the Prosecco region to harvest at the end of September / beginning of October and so the grapes from this zone are the most ripe by the time of harvest. It is the most expensive plot of land in Italy per hectare. it is hard to imagine spending summer in Italy without a refreshing glass of Prosecco.